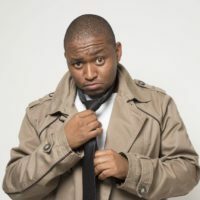 by Bogosi Motshegwa (@Thinkerneur) Have you ever thought about why the process of operating a corporate or business is referred to as “running a business”? It’s because it’s a marathon, “a long-lasting or difficult task or activity” (emphasis added). I’ve never run a marathon, nor have I run a business yet, but working within organisations that are trying to run their business and build their brands has given me insight into the parallels between them. I doubt there’s ever anybody who goes into business to go out of it, not even Kodak or, most recently, Toys-R-Us in the US. Even businesses that fail dismally, while the thought of possible failure is there, don’t have the intention. And, indeed, running a business or trying to build a brand is a difficult task or activity (while brand-building is a single function of running a business, I use them interchangeably in this context as I believe that, without a strong brand, there won’t be a sustainable business to run — if you build your brand, you ultimately building a business). The purpose of the original marathon was to deliver a message. If you think about it, brand marketing is exactly that: delivering a key message which seeks to convey your brand’s value proposition or that thing that you have that none of your competitors have. At least, I hope you have something different or unique to offer or provide. What do businesses and marathons have in common? They both require patience. I’m sometimes stunned by marketers’ or clients’ expectations for a single campaign to deliver on their long-term goals. Impossible. That’s like saying that a particular 20km distance will decide on a runner’s fate to win or complete a race. Technically that may be true, but it’s not just that distance; it’s all things added together that culminate into a result, whether desirable or not. It’s not what you do only in a given instance but everything you decide to do or not. Building a brand or running a business sometimes feels like a futile exercise, just like how marathon runners sometimes question their sanity when on the road, their legs pounding on the tar, and it seems as if they’re going nowhere slowly. You put in the effort but there seems to be little or no result. Building a brand becomes difficult, competitors literally running past you as if you’re standing still. It’s competitive, it’s aggressive and it’s painful. Unless you’re a startup and literally the only person doing the work, more often businesses have more than one person, and so it is never an individual’s task to run alone. You have people around you. Take a break if you personally need to. When building your brand, your job is to deliver that special thing about your brand consistently. The thing about business or brand-building as a marathon is that there’s no finish line — it’s a long-term game. How you decide to run will determine your longevity and whether you stay in the race or not. Never bank on any single campaign to solve of your business’ or brand’s problems; it’s everything you do. Keep on trying new things. Always think about what you can do differently, without being schizophrenic. A perfect example is Nando’s. It keeps doing new things that feel/sound/look familiar, like only it can do. Why? Because it’s cemented its brand’s identity. It’s not trying to do a lot of different things or say too many things; all it does is speak its purpose in different ways. Do more things. Yes, budgets or a lack thereof are a thing but you need to do more as a brand. Start thinking differently about media channels or options. Everybody wants to do TV, but how affordable is it? Yes, it’s huge and still commands the majority of people’s attention but, with it being so fragmented, especially pay-TV, shouldn’t you start thinking differently about where you place your eggs? In everything you do, ensure that you keep true to your brand’s identity. Campaigns are big but they’re not the end of the brand (unless you do something distasteful or stupid). Everything should count and should add value. Don’t give in too quickly on a campaign: give it time and be patient. The key to winning is not just consistency but consistency of simplicity —be consistent keep your message simple and easy to understand. Bogosi Motshegwa (@Thinkerneur) truly believes that advertising can really change the world. Every single day he tries to prove this. He shares his thoughts on the industry and sometimes has unconventional views. Bogosi is the co-founder of Melanoid Éclat (for finding black entrepreneurs), a committee member of AMASA, an Advisory Council member and guest speaker at Vega, and also does speaker management at TEDxJohannesburg. He is currently a strategic planner at Net#work BBDO. He contributes the monthly column, “Adnalysis”, which analyses adland from a strategist’s point of view, to MarkLives.com.